St. Bernard High School & Aerospace Crop held their second annual STEM Summit at St Bernard High School this weekend.This annual event connects SBHS high school students with The Aerospace Corporation as well as the best and brightest 8th grade students in the area. As part of the program there was a balsa bridge building competition that required students to create a bridge that could withstand the most weight. 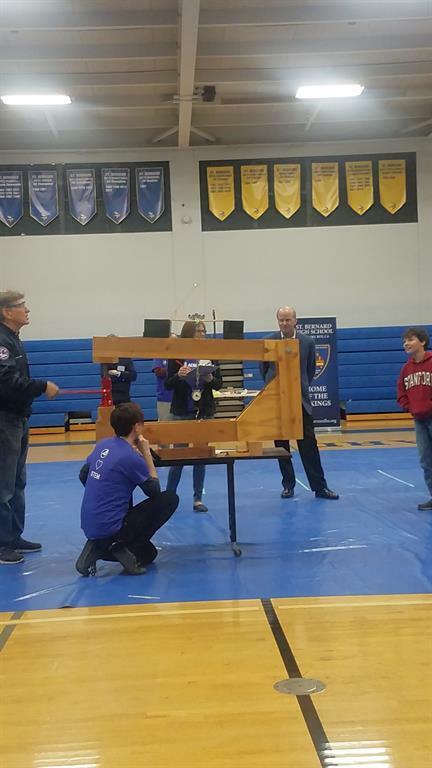 Aerospace Corp brought their engineers to load test their bridges in order to determine a winner. 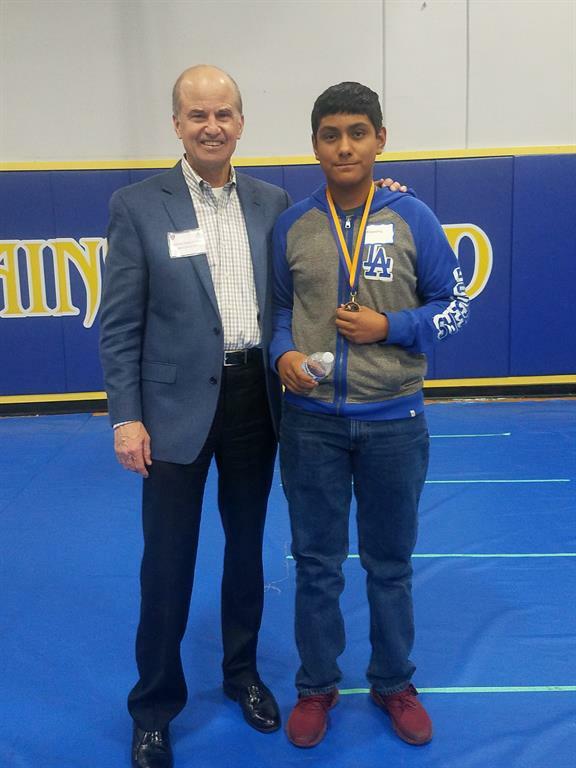 We are proud to announce that out of 100 competitors from other middle schools we had two of our very own St. Marianne students place 1st place and 3rd place in the entire competition. We would like to congratulate Cassandra Montenegro (1st place), and Alejandro Silva (3rd place) for their amazing accomplishment. We are very proud of you. They also got to meet astronaut General Kevin P. Chilton! We have amazing kids here at St. Marianne de Paredes. Go Chargers!